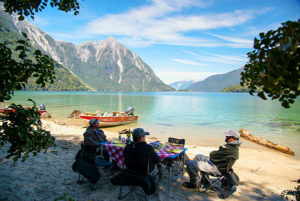 The season rates for our fishing lodge in Yelcho Lake is per person, per week or per day. Group discounts are available for groups of 6 and 8 or more. A 50% deposit is required at the time of booking to confirm and hold space. The other 50% must be paid 30 days before your arrival to our lodge. If the client have any kind of problems regarding the appointed date, payments aren’t refundable, but we are open to re-scheduling your visit with no extra fee. Fisherman: $ 750 per night. The above rates include airport transfers to and from Chaiten airport, lodging, all meals and snacks, all beverages including wine and beers, Wifi inside The Lodge, guided fishing (1 guide for every 2 anglers), fishing license. Personal fishing gear (we have fishing gear that we can borrow in case you forget), gratuities for staff and guide, long distance telephone calls.